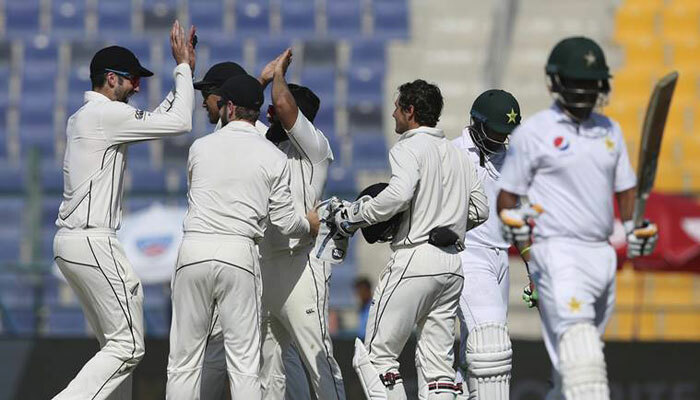 ABU DHABI: (DNA) – Pakistan have been defeated by New Zealand on the fifth and last day of the third and final Test here at the Sheikh Zayed stadium on Friday. 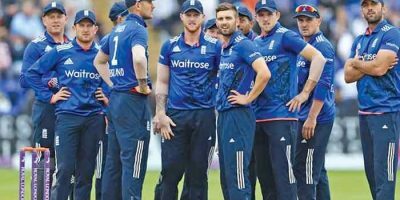 Chasing a 280 at a difficult pitch, Pakistan batting line failed as the whole team was allo out for 156. Thus, New Zealand won the final Test by a big margin of 123 runs and they also won the three-Test series 2-1. This is for the second time that New Zealand won a Test series against Pakistan in the opponents’ “home series”. 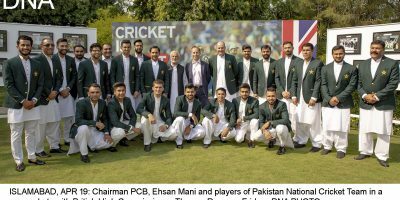 Earlier, they had won the series 1-0 in 1969-70 in Pakistan.